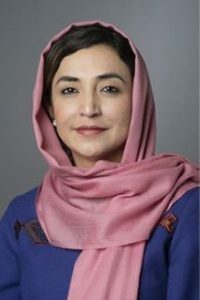 Together with Afghanistan, the goal is to give concrete shape to the long-term engagement of the international community and to advance the broader political process in the country. In the run-up to the Afghanistan Conference in Bonn, Afghanistanâ€™s President Hamid Karzai arrived in Bonn on 2 December. Foreign Minister Guido Westerwelle welcomed him at the airport: he said that Germany was delighted to be hosting the Conference and thus making a contribution towards stability in Afghanistan and towards a bright future for that country. â€œWe are looking forward to this major Conferenceâ€, said Westerwelle. He went on to say that the key message it would send was that the international community intended to continue supporting Afghanistan on a long-term basis. Karzai emphasized that his return to Bonn ten years after the first Afghanistan Conference in that city was a very special occasion for him. Germany was an old friend of Afghanistan and, especially during the last ten years, had played a prominent role in the efforts to help his country and â€œhad made sacrifices for its stabilizationâ€. Ten years after the Bonn Conference of 2001, the international community is meeting in Bonn again on 5 December 2011. Together with Afghanistan, the goal is to give concrete shape to the long-term joint engagement and to advance the further political process in the country. 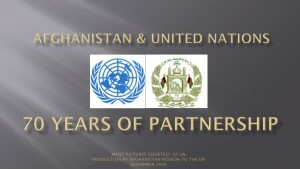 Following the handover of responsibility for Afghanistanâ€™s security to the Afghan Government and the completion of the withdrawal of all international combat troops in 2014, the aim is to ensure that Afghanistan remains stable and develops economically. â€œAfghanistan must become a stable community that is no longer a threat to peaceâ€, wrote Westerwelle in a joint newspaper article with his Afghan colleague Zalmai Rassoul on 2 December. the political process that is intended to lead to the long-term stabilization of the country. and respect for the Afghan Constitution including its human rights provisions are essential guidelines.At the same time this process must be secured by Afghanistanâ€™s neighbours and the regional powers. The stabilization of Afghanistan is set in the context of the political stability of the entire region, to which all countries in the region contribute. 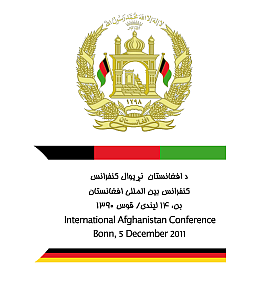 The conference also highlights the shift of emphasis in the international communityâ€™s Afghanistan policy from the military to the political aspect.